We as human beings have a very strong self-centered aspect (even if it may not be truly ‘real’) of our beings called the ego, and many problems arise when this aspect of the human experience goes uncontrolled. Manipulation has always been a favored tool of the ego in order to get what it wants. This manipulation can come in either a physical form or it can be seen to work on the emotional level in order to break the psyche into meeting the manipulator’s desires. Properly identifying the ways in which people emotionally manipulate others can save us much suffering in the future when identified early enough. By protecting ourselves from being manipulated on the emotional level, we are able to free ourselves once and for all from the violation of our universal right of free will. Just as we can shift our consciousness from the state of fear which is often imposed on us by emotional manipulators, we can shift away from any debilitating mind state. The following will be a detailed list of signs to look for in people that are trying to emotionally manipulate others and how to defend against these sinister tactics. Your intuition may sense that this elaborate apology is not genuine. However, since they said the magic words, you are essentially left with nothing more to say or you will find yourself trying to control their fake anger. When this scenario plays out, do not accept an apology that is as real as their true intentions. If you do accept the apology, you have just been emotionally manipulated! If it does not feel genuine, it probably is not. Do not allow yourself to me emotionally blackmailed because if you do that one time, the emotional manipulator will see that it can be used as a successful method of getting what he or she desires. THE PERSON PRESENTS HIS OR HERSELF AS A WILLING HELPER. A person that acts as an emotional manipulator plays the part of someone who is willing to help out with any given task. If you ask for their help with something, he or she will be more than willing to agree. If you did not ask for their help, he or she will volunteer to help with any given task. Seeing an offer for help looks like a wonderful thing, but in the mind of an emotional manipulator, this is merely a tactical move in order to fulfill a selfish desire he or she has. If you accept their offer to help, he or she will express their unwillingness to help by letting out several sighs that are loud enough for you to notice, or some other non-verbal signs that let you know they actually do not want to help you with whatever it was they offered to help with. You will notice this and tell them that it does not seem as if they actually want to help, and this is when he or she begin their main manipulation efforts. He or she will show their great will to help you and that you are being unreasonable. In order to bypass this manipulation, ignore the fake sighs and subtle cues that he or she is unwilling to help. You can also confront the individual directly and deliver an ultimatum (albeit in a civil manner). THEY SAY SOMETHING BUT LATER ASSURE YOU THAT THEY DID NOT SAY IT AT ALL. This is one tactic that you can see being used in many aspects of society, perhaps the political sphere being the greatest user of this. If you constantly feel like there may be something wrong with your memory recall because you remember one thing and the emotional manipulator “remembers” another, then be cautious. Those who have mastered the “art” of emotional manipulation are experts in justifying their actions, turning things around against you, and rationalizing situations. It is as if they have graduated The University of Lying and are incredibly skilled in passing off even the most ridiculous lie without giving any hints that he or she is being deceitful. They can be expert persuaders to the point that you begin to question your own memories and sanity. To combat this technique by the emotional manipulator, keeping a log of what he or she says is a good start to having definitive proof that he or she is lying right in your face. It does not matter how you go about doing this. It can be in the form of having another person with you when the manipulator is saying whatever it is they are saying, writing it down, recording it, etc. THEY PUT YOU IN A GUILT TRIP. By taking the passive-aggressive route, emotional manipulators are able to deal with things indirectly. Actions in this category include talking behind your back, getting others to say to you what they would not say themselves, and finding subtle ways of letting you know they are unhappy. They will tell you things that you want to hear, but then do something to undermine that. An example of this would be if the manipulator says that “of course I want you to go back to school baby and you know I will always support you.” Fast forward to a night where you are either studying for an exam or perhaps finishing a project for work and your children (if you have some, that is) are throwing temper tantrums, the television’s volume is set really high, and your pets need taking care of – all the while “honey” is sitting on the couch looking at you blankly. If you were to call them out on this, they will likely say something like “well you can’t expect life to just stop because you have an exam or have to finish a project for work can you dear?” This is a difficult one to deal with, and if an emotional manipulator pulls this one, the choices for response are very limited…even as much that I do not have an adequate method to combat this besides getting this person out of your life. THEY ALWAYS SEEM TO HAVE IT WORSE THAN YOU. This tactic is pretty straight-forward. No matter what problems you may have in your life, the emotional manipulator always has problems worse than you. They shift focus from your problems to their supposed problems (which almost never exist in the way they claim they do). If you sense that they are not being genuine and are just trying to shift the focus of the conversation on themselves in order to satisfy an egoistic desire, they will display feelings of being deeply hurt and will call you selfish. Yes, they will call you selfish, when in reality it is they who are selfish. Every day is Opposite Day for this emotional manipulator. It is difficult to combat this, because it is difficult to prove that you are not trying to be in the spotlight, so to speak. However, a clear and effective solution is to simply trust your intuition on their genuineness and walk away. 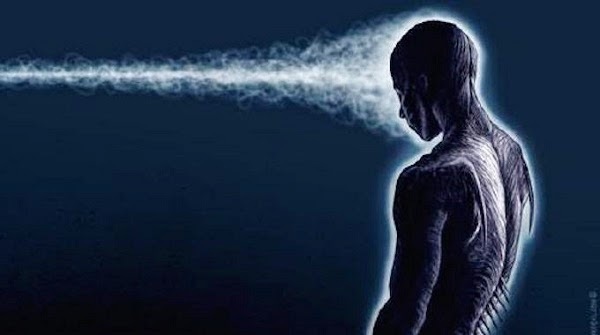 Given the interconnected nature of human consciousness, everyone affects everyone else. This reality is able to both benefit and hurt us. If an emotional manipulator is in a room with others who are feeling fairly content and positive, the manipulators’ low level of consciousness will negatively impact all the others around his or herself. If they are angry or sad, others will begin to feel these emotions creep up into their consciousness and bring them down. The instinctual result of this is that others will try to bring the energy level back up by trying to make the emotional manipulator feel better. By staying around such a person for a long period of time, you will find yourself exhausted with always trying to bring them back up to the positive end of the emotional spectrum and become burnt out. Emotional manipulators do not take responsibility for their own actions. They always turn around a situation to see what others have done to them. An easy way to identify an emotional manipulator using this tactic is to see if he or she attempts to establish intimacy via the early sharing of what is considered very personal information that is the kind that makes you feel sorry for them. You may at first feel that this individual is very sensitive, emotionally open, and perhaps even a little vulnerable. This is precisely how they want you to perceive their actions. Emotional manipulators have emboldened their ego to such great heights that they practically never feel vulnerable. The best way to combat this tactic is to identify it early on and cease giving these individuals an audience. Every one of us is bound to come across an emotional manipulator sooner or later. By understanding how they operate and what tactics they use on others, we can be well prepared for their attempts at using us for their own egoistic desires and can prevent much pain, sometimes even a lifetime’s worth. Spread awareness to others by educating them on emotional manipulation and with our collective efforts, we will no longer fall for their tricks. Many thanks to Fiona McCall who wrote Eight Ways to Spot Emotional Manipulation - the inspiration for this article. Visit Paul’s website shift.is and connect with him on Twitter.